There is no greater praise to a parent then having your child copy or emulate something a parent does...when they act like a parent (the good behavior! ), talk like a parent or even dress up like a parent! Whether they learn to throw a football together, share a hamburger or simply hang out in the sun, there’s no denying that special bond. 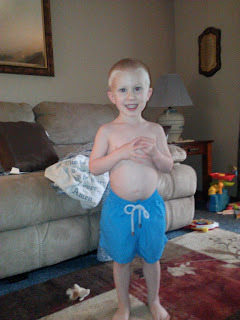 That is why I LOVE the Tom & Teddy swimming trunks we received for my husband and son! 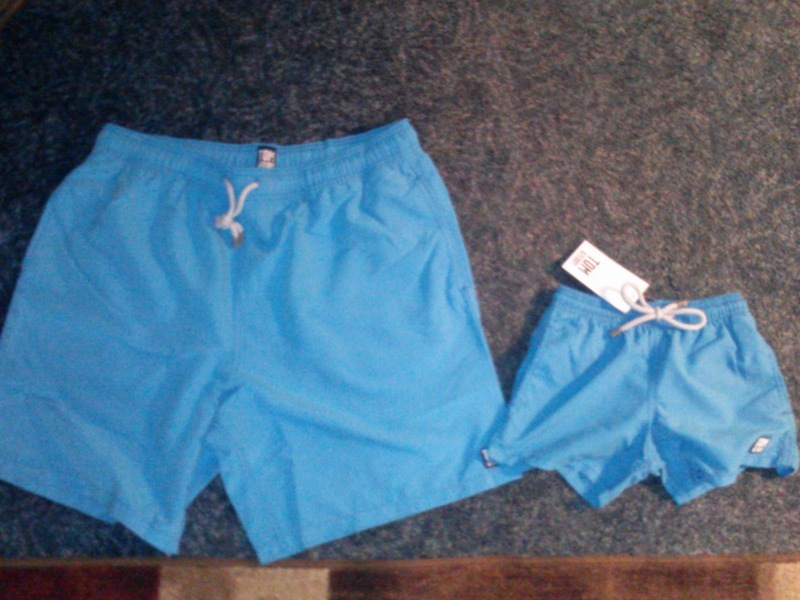 They are so cute wearing their matching trunks and my son is so proud to look just like Daddy! This Father's Day, make a splash in your house with coordinating swim trunks for men and boys from the new Australian brand, Tom & Teddy. Stripes, brights and patterns galore, Tom & Teddy has trunks to fit every man's style. Contemporary designs and a universally flattering fit mark the summer 2013 US launch collection from Australian swimwear brand, Tom & Teddy. The line pays particular attention to the quality and detail of its swim shorts. They are made for men and boys that live active lives and want to invest in a quality swim trunk that will withstand days filled with ocean water and flag football. I love the fun, vibrant patterns and colors that these trunks come in and the light blue color we received is so cute on my son and husband! But my son LOVES his new pair of swimming trunks and can't wait for it to warm up around here so he can wear them! 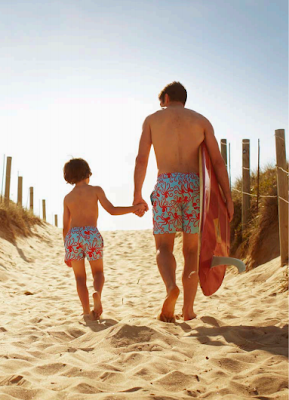 If you are looking for a fun Father's Day gift this year, matching swimming trunks from Tom & Teddy will make both your man AND your son happy this Father's Day! Buy It: You can purchase Tom & Teddy Men’s swim shorts retail for $87 and are offered in sizes Small through XXL. 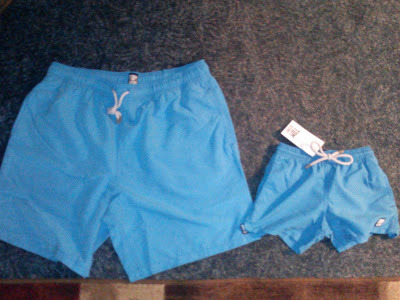 Boys swim shorts retail for $52 and are available in sizes 1 - 12 years of age. Tom & Teddy can be purchased online at www.tomandteddy.com.